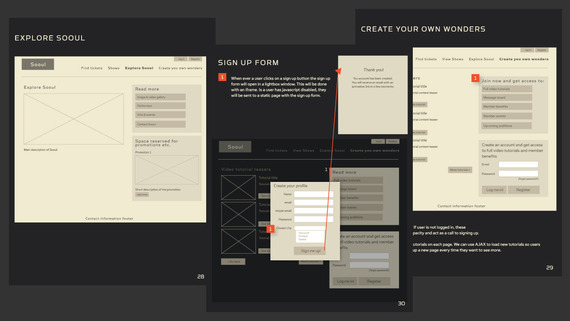 Get started wireframing your next big web-app idea in Illustrator and InDesign. This work session will cover some tips, tricks, and best practices for using these platforms to build wireframes. The implementation of the goal is done for the public. The communication and customer writing service is ensured with all facilities for the help of the kids and youngsters. Thanks everyone for coming today. I know wireframes are pretty boring, but I promise Photoshop will be more fun! - start looking around for other portfolio sites you like and start a pinboard for those sites (we will use one in the Photoshop for comps class to re-create). Check out cargo collective for inspiration. JUST KIDDING - the location today has changed. We'll be meeting at Center61 today at 3pm in the big meeting room so we don't have to cram into the back house. Thanks to Ruby and Alex for helping me scramble that together this morning. we're planning on having the class today in the back house at AC4D until further notice. You can use the same pin-code to get in as the front house.